Replace your Bland plastic double Decora covers with our quality resin bear paw double rocker plates. 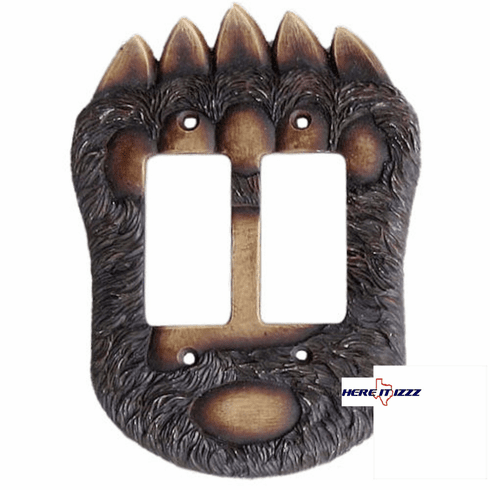 Each one of these Bear Paw switch plates comes with new mounting hardware and are easy to replace. Our upgraded Decora plates will make any room in your cabin or Lodge feel like the outdoors.